Robinette Farms, Rock Creek Aquaculture, Aaron Bock Farm, and Boiler Brewing Company: On the tour you will visit AgrAbility clients with cattle, shrimp, chickens, and vegetable production. The tour’s final stop will be a craft brewery. 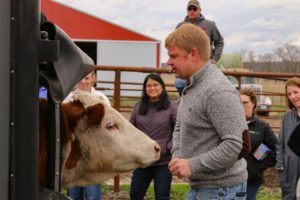 HETRA, Midwest Hop Producers and Kimmel Education and Research Center: On the tour you will visit an equine therapy center; hops production, and a research and education center. 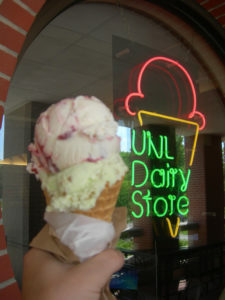 UNL Innovation Campus, Big Red Worms, Ficke Cattle, and Anchor Meadow Farms: On this tour you will visit the Food Innovation Center, the Greenhouse Innovation Center, the Biotech Connector and the Innovations Connector on UNL Campus. There will be a 12:45 drop off after having lunch on campus. You will then tour worm composting, and AgrAbility client, veteran owned cattle, bees, and hogs. Grow with the Flow, Raising Nebraska at Fonner Park, and Gary Bader & Sons Feedyard: You will experience aquaponic horticulture, interactive exhibits at Raising Nebraska, and an AgrAbility client owned feedyard. Please note that the title on the registration site was not able to be adjusted for the change to Grow with the Flow instead of Crane Meadows Nature Center. The above description lists the correct tour stops.